46 million Americans listen to podcasts at least monthly. New podcasts are coming online every day, especially in marketing, where the new site MarketingPodcasts.com serves as the search engine for marketing podcasts. Jay Baer’s Convince & Convert Media produces three podcasts currently: the long-running Social Pros; Content Pros; and the near-daily video podcast, Jay Today. 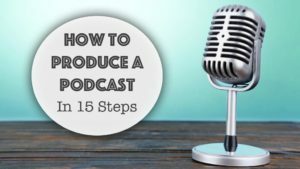 In this detailed presentation, the Convince & Convert team share the specific steps they follow to produce these popular marketing podcasts.